Late September and early October in northeast Ohio are warm in hue … landscapes changing subtly each day. Summer’s decedents, some lost in shadow, others flame. 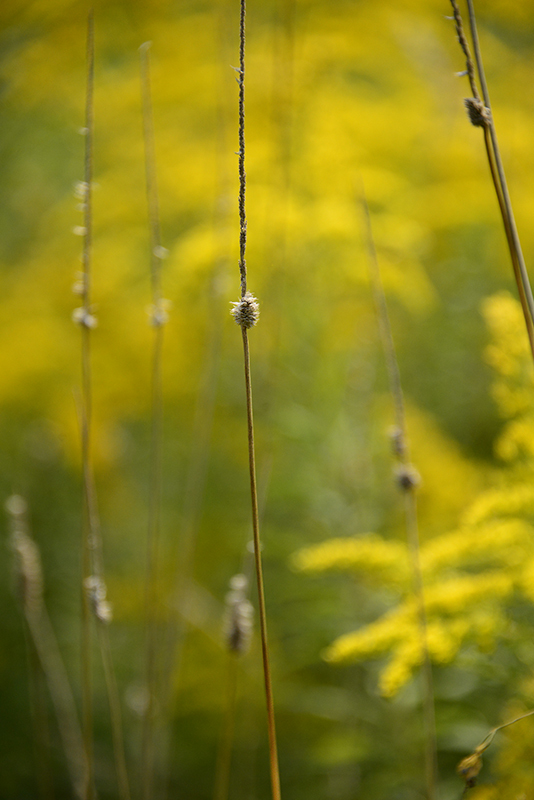 Field grasses disappearing in the moment; ironweed, goldenrod slowly burning until extinguished. Seed-heads across Squire Valleevue Farm stand in relief against a background of goldenrod, asters and late meadow grasses, many verdant until a frost. I do not know what grass or weeds these may be but I see them here every year before their seeds scatter on autumn winds. This is the scene I’ve walked into for sixty years. An arching pin oak or two have passed since my childhood but new ones rise. 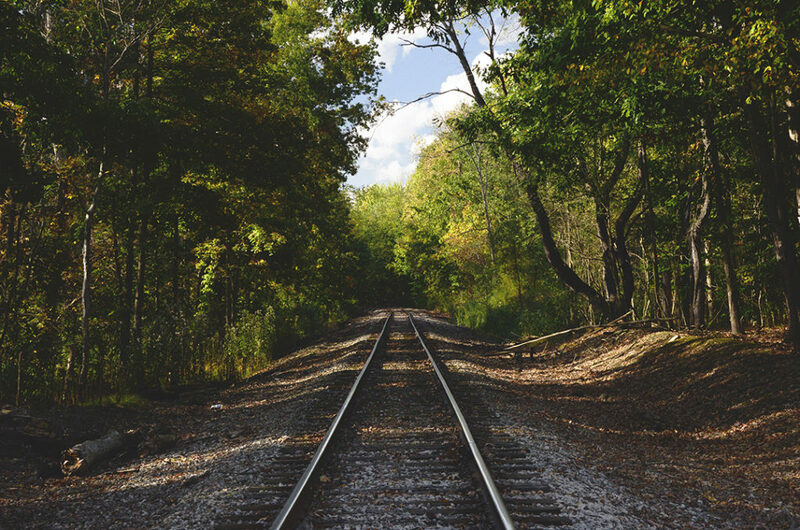 What has never changed are the rails, rails that take me into each season, ones that orient me through snow, morning fog, autumn hues and a lifetime of magenta mornings and afternoon shadows.